The group rose to fame with their debut international album, Backstreet Boys (1996). 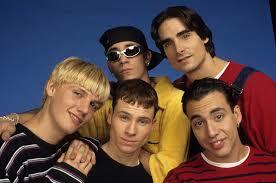 In the following year they released their second international album Backstreet’s Back (1997). Their U.S. debut album which continued the group’s success worldwide. They rose to super-stardom with their third studio album Millennium (1999) and its follow-up album, Black & Blue (2000). The Backstreet Boys have sold over 100 million records worldwide. Making them the best-selling boy band of all time, and one of the world’s best-selling music artists. This was the first single from the Backstreet Boys’ seventh album, This Is Us. This Is Us debuted at #9 on the Billboard 200, making Backstreet Boys the first group to send its first seven charted albums to the Top 10 since Sade strung together seven Top 10 albums between 1985 and 2002. ← Happy Book Lovers Day! !